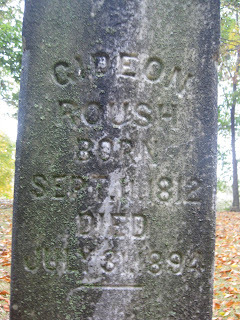 Gideon was my fourth great-grandfather. 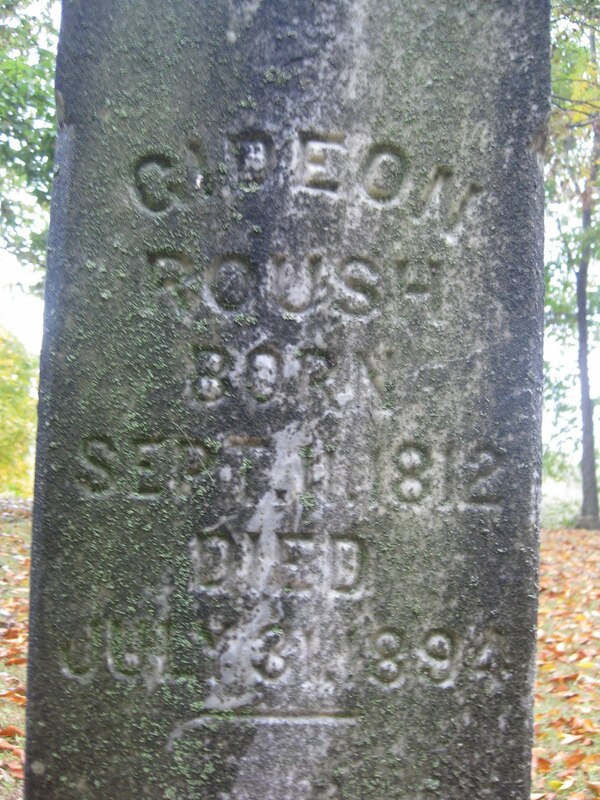 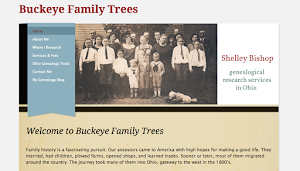 The son of Adam and Hannah Roush, he was born in Ohio, most likely on land very near where he was buried 81 years later. 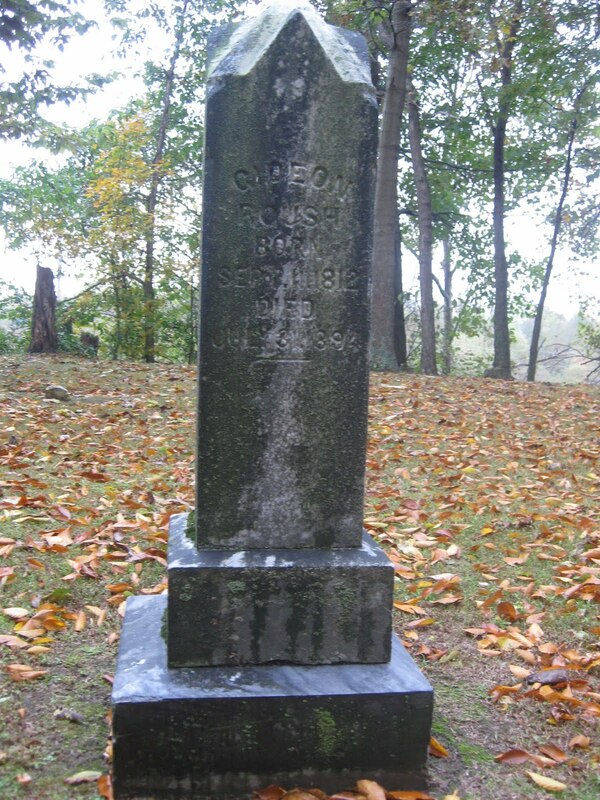 Gideon married Elizabeth Rayburn on March 2, 1837 in Gallia County (Gallia County, Ohio, Marriage Records, vol. 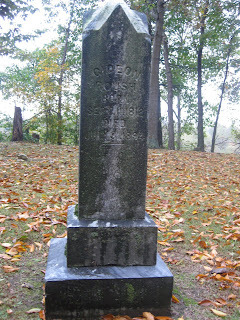 1, p. 447, Probate Court Office, Gallipolis). 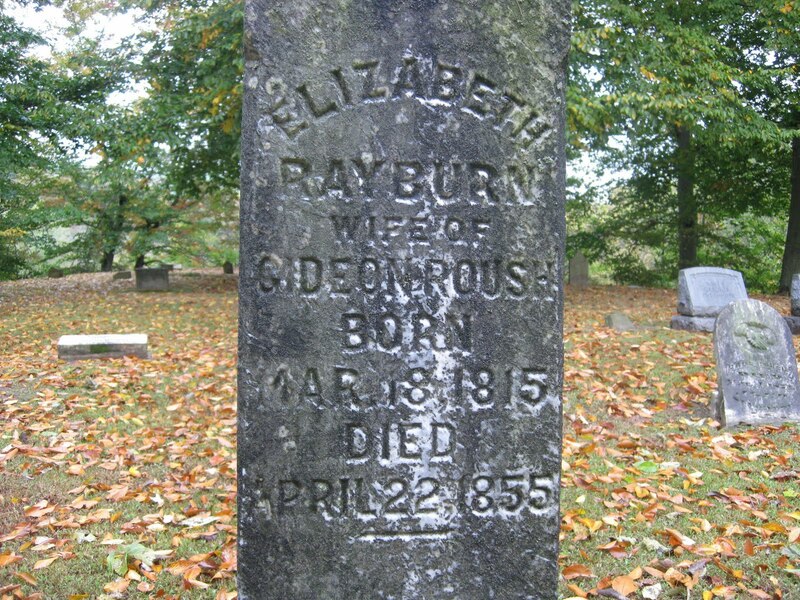 Although she predeceased him by almost 40 years, they were buried together. Her inscription is on the other side of their shared tombstone.